If you had to narrow down the purpose of your website to a SINGLE thing, what would that be? The exact details may vary. Your website may need to do different things to convince a potential client that you are the right choice for them. You may want inquiries by phone, email, Facebook Messenger, or even walk-ins. But at the end of the day, the goal is to increase the number of leads for your business so that you can make more money! For most photographers that I work with, the majority of inquiries come through a contact form on their website. A potential client can fill out a simple form to send an email and get more information. Since this action (filling out the contact form) is the most important purpose of your website, you would think that the entire experience of filling out a form would be highly optimized to increase the likelihood of turning that lead into a customer. Unfortunately, I’ve found that this is not the case with most photographers. This post will focus on what happens AFTER someone fills out your contact form. Specifically, we are going to talk about how to set up a perfect custom thank you page. 1. This person is EXCITED to work with you! When someone fills out your form, it usually indicates that they are confident enough to know they want to hire you. They are probably pretty excited about the idea of working with you, and while they are certainly HIGHLY interested in booking you, they may not know exactly what to expect next. What happens after the form is submitted can really go a long way to increase the chances of that booking. This person has probably looked at several photographers, and they’ve chosen you! They may have even emailed several photographers, but they’ve given you the opportunity to win their business. Every time you get an inquiry from now on, I want you to pretend you were just chosen as a contestant on The Price is Right! How anti climactic would it be if you were in the audience of that show, your name got called, you stood up and said “thank you” and then sat back down? OK, maybe you don’t have to be QUITE that excited, but you should show your new potential client that you are honored that they chose you. 2. First impressions are everything! If client experience is important to you, start that experience off on the right foot by showing your clients how well you’ll take care of them! When you go to a store or a restaurant, you expect fast, attentive and personalized service when you ask for it. Imagine you are in a grocery store and ask an employee where to find the taco seasoning and they said “Aisle 4” without even looking up from what they were doing. Or what if you walked into a new coffee shop that you’ve heard has the best coffee in town, but when you walk in the barista just stands behind the counter with a blank stare, not saying a word. A friendly smile and attention to detail goes a LONG way in creating a great customer experience. A default message after form submission that says “thanks” or “your form has been submitted” is like those employees who didn’t even try to make you feel heard or welcome. 3. Prep clients for your follow up. The contact page is a great way to let potential clients get to know you a little before you reply to their inquiry. This is especially true if you include video on your about page. You’ll find that people feel like they already know you when you reply to their initial email. Keep in mind that people very frequently email multiple photographers at the same time. If they get a custom message telling them what to expect next, they may be more likely to wait on your response, even if you aren’t the first person to reply. If you want to track the effectiveness of your website in turning visitors into inquiries, you want to set up conversion tracking on your contact form. I won’t get into the nitty gritty on this post, but essentially you’ll set up a goal in Google Analytics for anyone who reaches your thank you page (which should only happen after a form submission). This will let you get all kinds of new insights about the people who fill out your form! You’ll want to make sure the confirmation page is in line with your brand and personality, but here are some of the elements of a successful custom thank you page. 1. When and how will you reply? This one is pretty straight forward. Let them know approximately how long it will take you to get back to them! Just be sure to actually stick to your promise, and when in doubt under promise and over deliver. It is much better to say “we typically respond within 5 business days” and then get back in 3 days than to say you’ll reply in 24 hours and then take 48 hours. Remember the example earlier where we talked about employees who technically did their job but still made you feel like you were ignored? Don’t be that person! Let your potential clients know that you genuinely care about them and their memories, and that you can’t wait to hear more about their plans. This is also a great time to give a really brief message about your philosophy. Tell them WHY you care about them and WHAT makes you different than the other photographers they may be considering. If you REALLY want to stand out here, record a video so they can see that smile and hear the interest in your voice. As mentioned before, this will also create a bond where the viewer feels like they know you, even though you’ve never met. Sometimes people will want to get to know you even more after inquiring about your services. Let people buy into you personally by connecting with you on social media. This is a GREAT place to share your Instagram feed/profile, Facebook page, Snapchat code, or any other way that people can connect with you. Your thank you page is a great place to showcase your expertise and build up reciprocity with potential clients. You probably have LOTS of information that your clients want to know. How to dress, where to take photos, tips for successful sessions, things to do with their photos, the best wedding venues in town, other essential vendors to work with, and much more. As a photographer you’re an expert on so many things, use that expertise to build trust and reciprocity. Reciprocity is a social rule that basically says we should “repay” others for the things they do for us. It happens subconsciously, and when you start the relationship off by adding lots of value, clients will be more receptive to your higher prices and they will feel like they “owe” you something even before you reply. If you have some really amazing testimonials that would totally seal the deal, add them to your thank you page! Look specifically for reviews or testimonials that compare you to other photographers, talk about the experience of working with you, or talk about a solution/benefit received as a result of being a client. You can also include things like award badges, social follower counts, or places you’ve been featured in print or online. Let people believe their photos will not only be good, they’ll be award winning. If you don’t yet have a thank you page, go ahead and start with something really simple! You don’t need the perfect thank you page to get many of the benefits from a thank you page. In many cases, you can just copy the default thank you message you normally display and put it on a separate page, then change the form settings to send people to that page instead of displaying the message on the contact page. You can always improve the page as you go, but in this case, DONE is better than perfect! Since you only want to get visits to your thank you page after a successful form submission, be sure to exclude your thank you page from search results. The method you use to do this will depend on your platform, but if you’re on WordPress and using an SEO plugin, most will make it really simple to set the page to “no index”. 3. Don’t want to make a video? Try a GIF or custom graphic. Some people just hate being on video, and that is totally understandable. Even though video is probably the easiest way to showcase your personality and let people connect with you personally, there are other options as well! 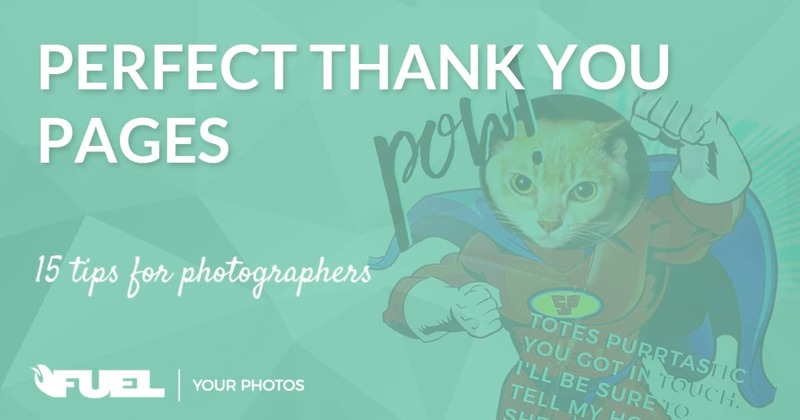 One of my favorite options is to use your favorite GIF on your thank you page. You can easily find a GIF to embed on a site like giphy.com. You could also use a custom graphic that showcases your personality in a unique way. Use your imagination and do something that will make a lasting impression! If you have a clients lounge, private Facebook group, email list, or any other kind of “insiders club” this is a perfect place to welcome people in. I know one photographer who has a VIP group on Facebook and every time they offer a new special it is sold out within a few hours just from posting in that group. If you want to build a list of people who are excited to buy from you, this is a great place to find members, even if they don’t hire you this time. This may or may not be right for your business, but if you have anything that could sweeten the deal to make the close, this is a great time to include it! You could include a time sensitive coupon, a coupon for one of your premium products, or anything else that makes people want to hurry up and give you money! You might even want to make an offer for them to go ahead and buy a session voucher to be used in the next year at 50% off, or a buy one get one 50% off for a friend. All kinds of ideas you could try here! One fundamental rule of web forms is that shorter forms get more submissions. If it is important to you to get more than basic contact info on your form, why not break it up into multiple forms? You could have the first form with name, email/phone, and message, then on the thank you page give them a link to fill out an additional information form. This lets you identify people who are hyper-motivated, and also lets you follow up with people who may not have had time to fill out the longer form up front. I searched long and hard to find great thank you page examples to show you, but really only found a few examples worth sharing so far. If you follow the advice in this post, or already have an amazing thank you page, be sure to leave a comment on this post so I can show everyone how awesome you are. For these examples, I’ll link to the home pages and show a screenshot from their thank you page, just so we don’t screw up their conversion tracking (be nice and don’t go try to find it). They literally have a PERFECT thank you page. I especially love the offer for the stress relief guide and the simple video saying thanks. See the full page screenshot here. Yvonne has SO much personality, and her love for animals appears throughout her site. I love that she included this custom graphic on her thank you page! Raymond has a perfect personality for video, and he takes advantage of that on his thank you page. He also checks off a few other boxes with his testimonial and invite to connect on Instagram! Don’t forget to leave a comment below after you perfect your contact page, or email me at corey@fuelyourphotos.com so I can feature you here! Great write up on a very little-discussed topic! I’m definitely going to try to implement some of the ideas here. Hoping to be able to share it with you in the future! Really good stuff! It’s nice that CMS templates usually have these built in so you don’t forget it, or for people who don’t know that you need it… But it really stinks when they make it difficult to build something custom out! Definitely worth the work-around though. I’ve had a thank-you page on my events site for a while and it’s so handy for tracking, and showing off some new blog posts. This has given me a few new ideas for one on my weddings site – cheers Caleb! 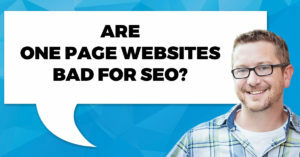 Previous PostSingle Page Websites | Bad News For SEO? 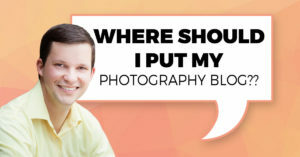 Where Should I Put My Photography Blog?